Blast the most accurate Nerf Mega darts with the first Nerf Mega AccuStrike blaster! The Thunderhawk blaster comes with 10 AccuStrike Nerf Mega darts designed for accuracy. 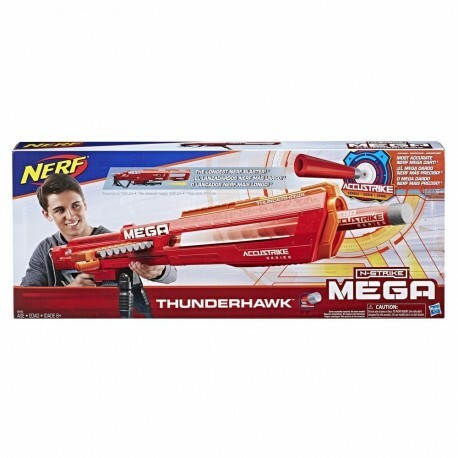 Go long and go strong on the battlefield with the Thunderhawk blaster -- it’s the longest Nerf blaster of all, measuring 41 inches (1 meter) when extended. 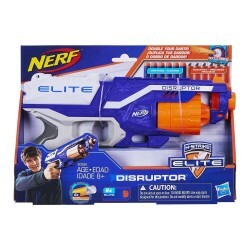 Slide the barrel to adjust the length, load the 10-dart clip into the blaster, and get ready to take on opponents with bolt-action blasting. Carry it into battle when the action demands mobility, and use the bipod to stabilize it for distance shots in a fixed position. 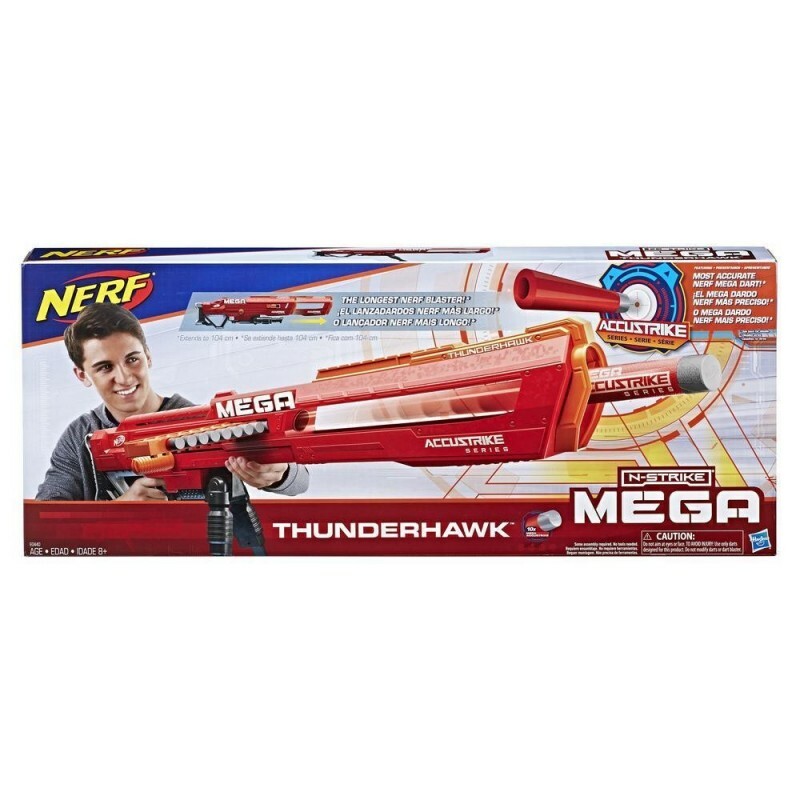 Part of the AccuStrike Series that features the most accurate Nerf darts*, the Thunderhawk blaster brings AccuStrike accuracy to Nerf Mega battles! • Includes: blaster, bolt (2 pieces), 10-dart clip, 10 darts, and instructions. • WARNING: CHOKING HAZARD - Small parts may be generated. Not for children under 3 years. Assembly required. No tools needed.